Just a few quick thoughts today on the sometimes overlooked cost of, not just regulatory communications (shareholder reporting, etc.) but communicating with regulators. 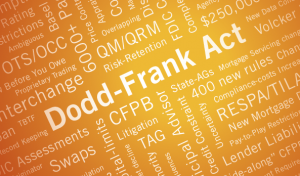 The banking industry has been hit with a confusing wave of regulatory changes some of which add layers to reporting requirements for the largest institutions, while others are intended to relieve the burden from smaller institutions. On the flip side, the Jumpstart Our Business Startups Act, or JOBS Act, which went into effect April 2012 has enabled more than 100 small banks to stop reporting financial and operational details to the SEC lowering the regulatory burden for banks with fewer than 1,200 shareholders. These banks continue to be regulated by the Federal Reserve and the Federal Deposit Insurance Corp. According to an Articlein American Banker, eliminating SEC reporting will save $150,000 for Coastal Banking and $250,000 for Harleyville Savings Financial annually. Those are big numbers for small banks with slim profit margins. Meanwhile, other compliance executives are looking at increased costs. 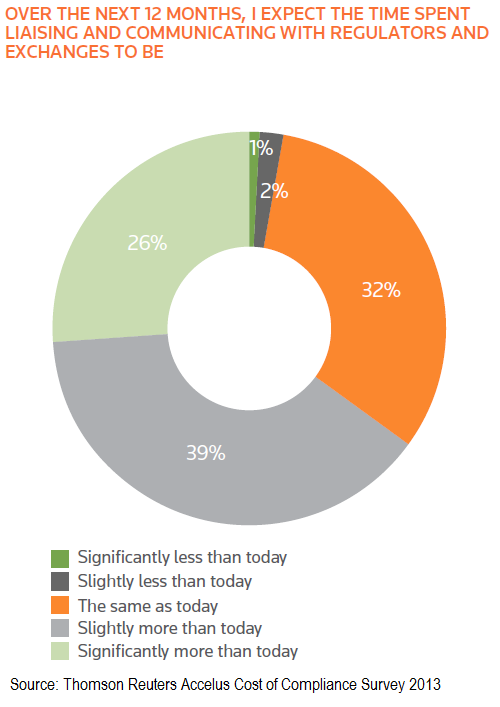 According to Thomson Reuters “Cost of Compliance Survey 2013,” 65% of compliance executives surveyed expect the time they spend liaising and communicating with regulators to be either slightly or significantly more than today. Perhaps this is simply a time of rebalancing the compliance burden where more effort is being directed toward scrutinizing large, complex financial organizations that have the potential to damage the economy if they behave irresponsibly. It sounds noble and necessary but it is difficult to see how the increased costs of compliance reporting are going to lead to actual behavioral change where it is needed. As in most aspects of business communications, more data does not necessarily lead to more information – but it always leads to more costs.